Ladies and gentlemen, the time has come. It is time to put in the floor. 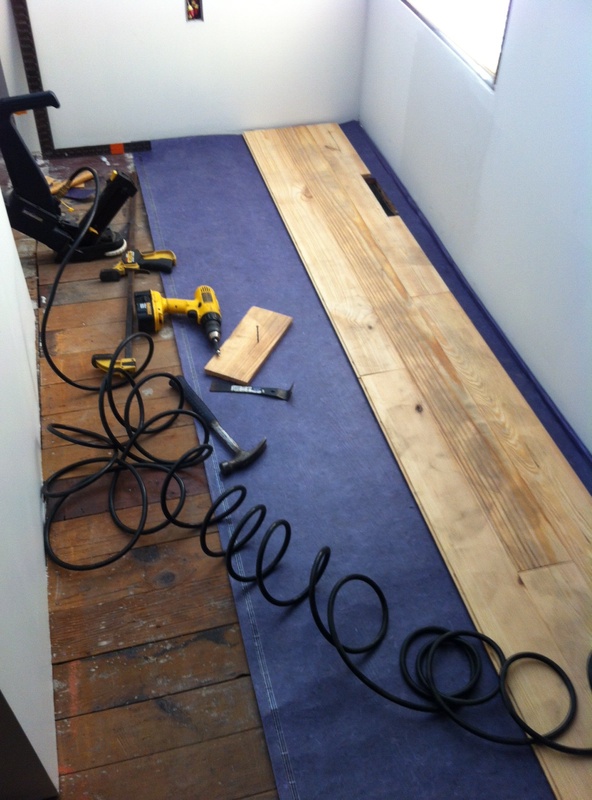 Once that was down, Mark aka the incredible DIY machine, started putting down the pine flooring. He started in the hallway. 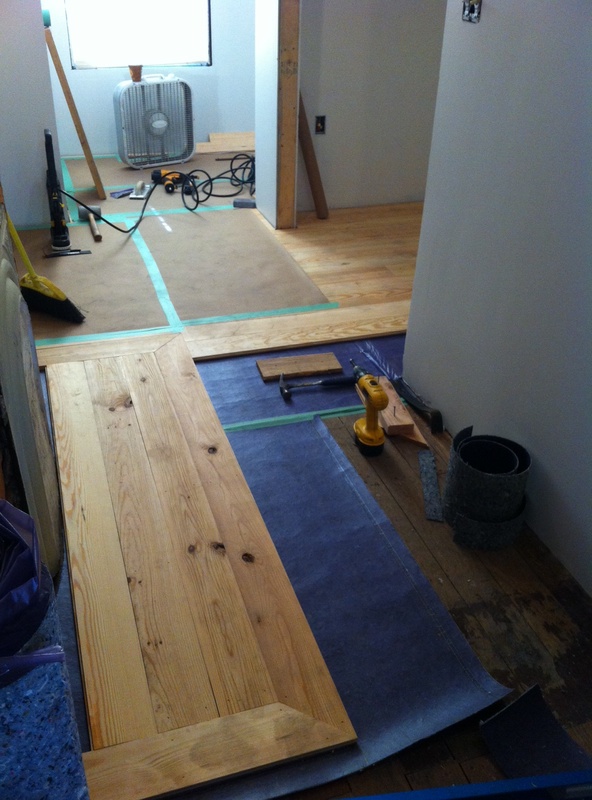 We wanted the floor boards to all flow the same direction from the hall to the laundry room to the bathroom. 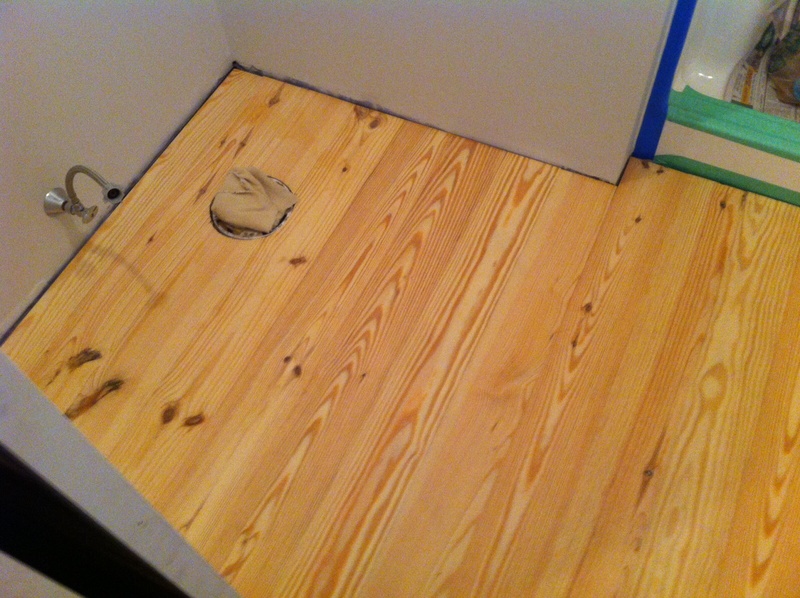 We continued the flooring into our bedroom. My favorite part is the hearth. 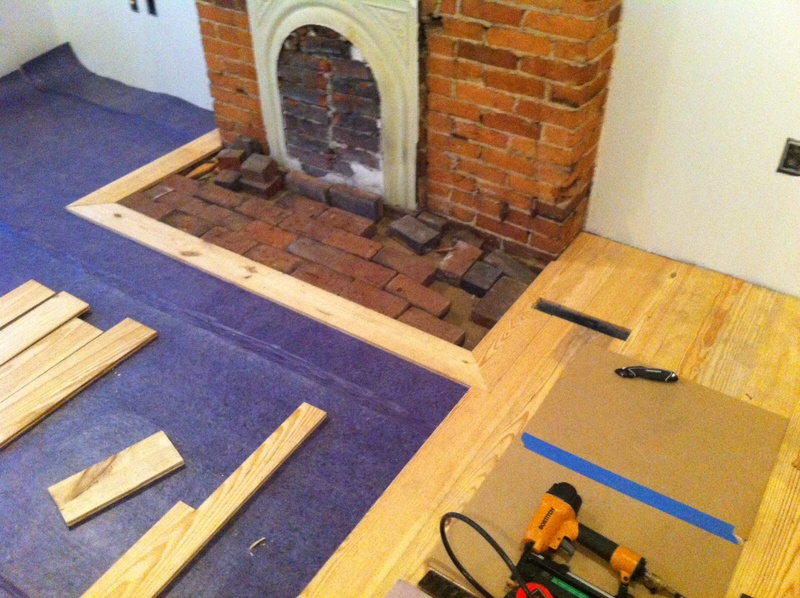 We have 2 fireplaces upstairs and Mark saved some of the old bricks and created a beautiful hearth in front of the fireplaces. He would’ve continued and finished the flooring in our bedroom but his air compressor broke. Why does that always happen when you’re THIS CLOSE to finishing?! → Please take off your shoes! Hey there!!!! Thanks for checking out the blog! I’m glad you like the floors…we do too. Right now, the fireplace is staying bricked up but we might change that later. Hope you’re doing great!